Because we wanted to be somewhere fairly busy during Tet, this was the only part of the trip we booked in advance of going to Vietnam. 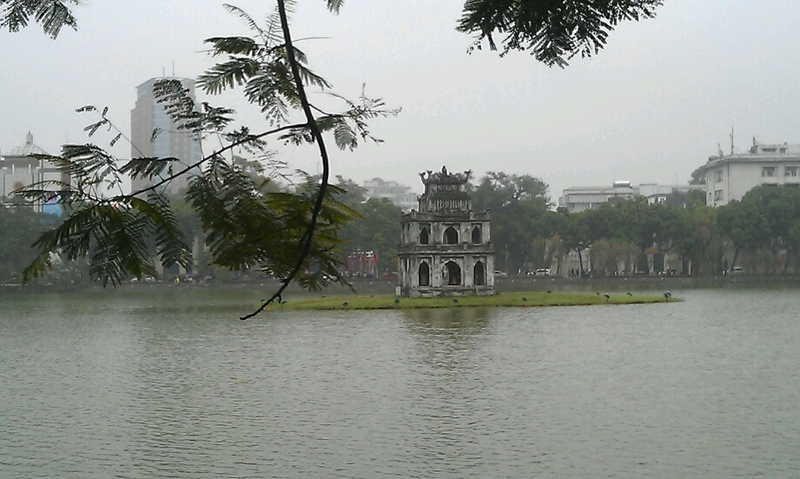 Therefore, our itinery just had to make sure we got as far as Hanoi by Tet week (when supposedly all transport stopped). 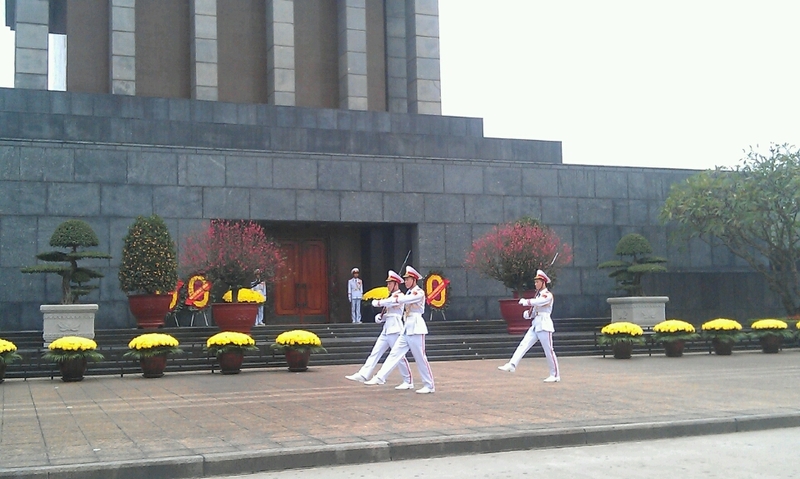 In reality we didn’t need to worry anyway, see separate blog on Celebrating Tet. However, it was great to spend 7 days in one place & there is certainly lots to explore here. 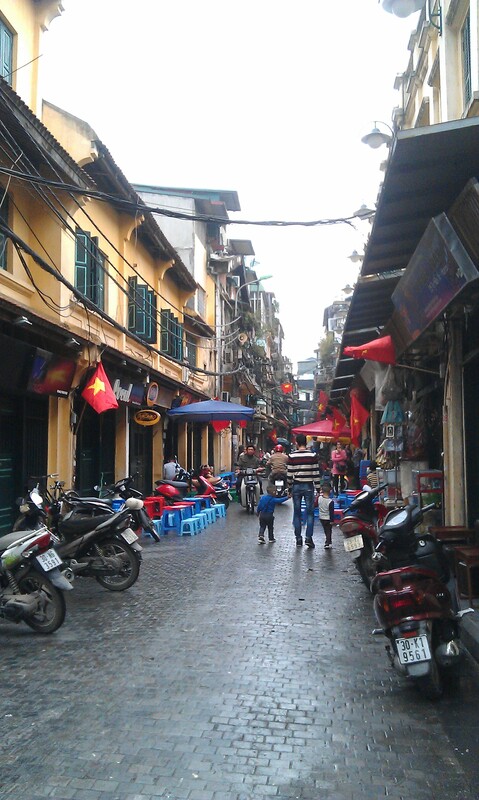 Luckily, we were staying in the old quarter, which is a mass of rambling streets, shops, coffee houses, pho stalls, restaurants & tour shops. The streets are very narrow, the houses mainly old & in various states of renovation. There is a lot of noise & traffic at all times of the day. Once you get your head around this, it’s fantastic. 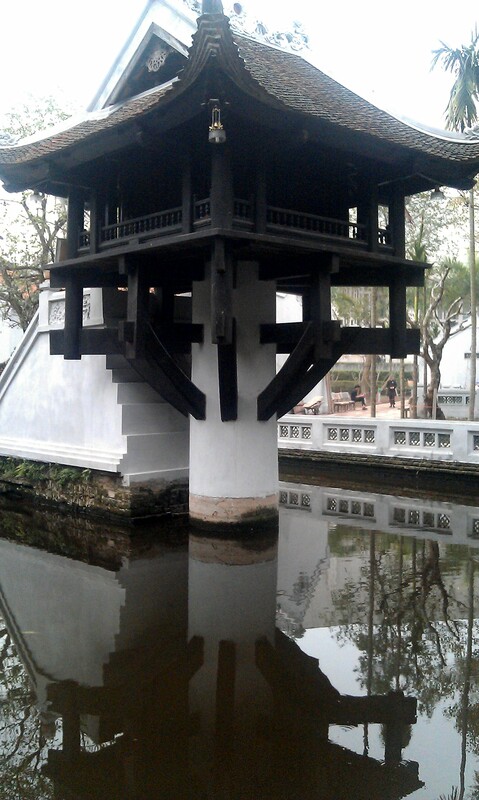 There are a number of preserved old wooden houses & temples, which are open to the public. I’m sure there are maps which show where they all are, but we just discovered them by accident each day. We walked around the lake at least 5 times during Tet, as it was where most families were congregating & the cafés & bars are in abundance. 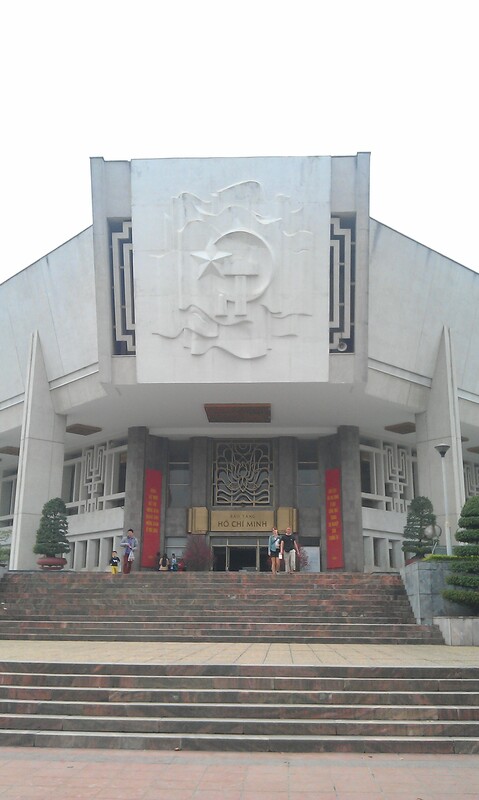 We also visited the Ngoc Son Temple, dedicated to Confucian and Taoist philosophers and the national hero, Trần Hưng Đạo. According to the legend, emperor Lê Lợi was boating on the lake when a Golden Turtle God (Kim Qui) surfaced and asked for his magic sword. In fact there are supposed to be rare soft shelled turtles still living in the lake, although we didn’t see anything. 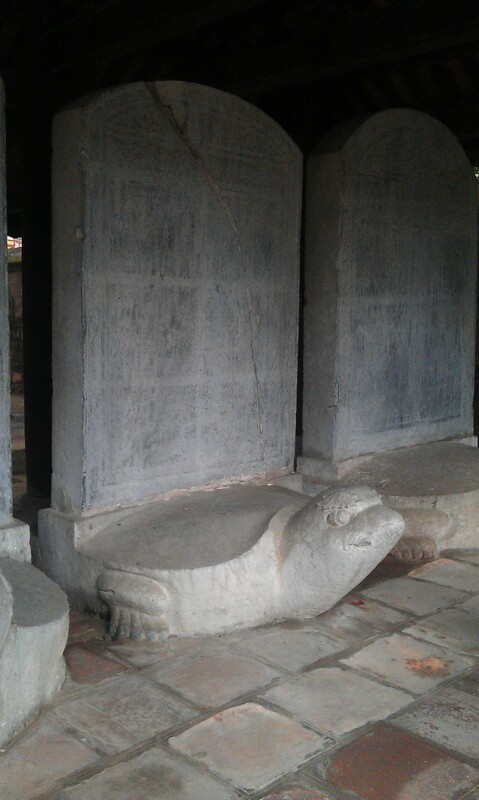 I cannot find the origins of the specific item, but there is a large preserved turtle inside the temple. We loved this area. As it was Sunday, there was a service going on & we snuck inside as people were coming out to look around. 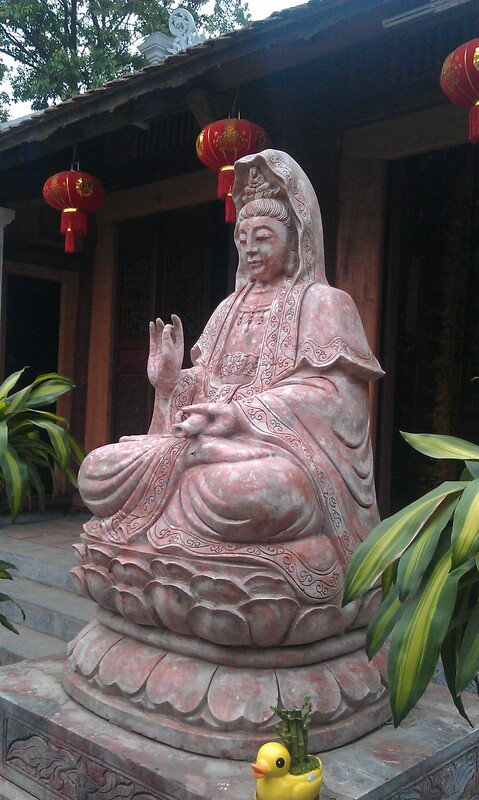 There is an amazing Chinese temple around the corner, which isn’t on the map & only had locals inside. What we loved about this area most, was that the streets were lined with shuttered properties & cafés, surrounded by tree lined roads. It looked more French than the French quarter; you could also spot the older Vietnamese gentlemen, who tend to wander around Hanoi in berets. Just like being transported back to France. The temple hosts the “Imperial Academy” Vietnam’s first national university. 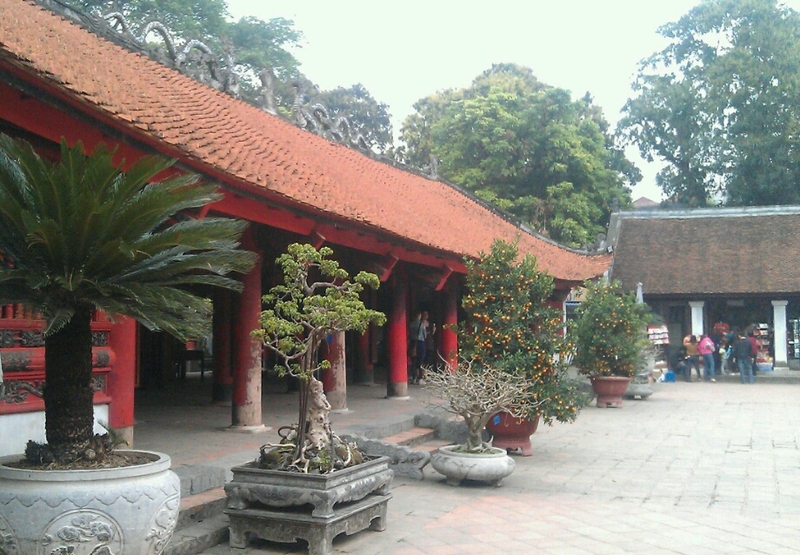 The temple was built in 1070 at the time of King Lý Nhân Tông. 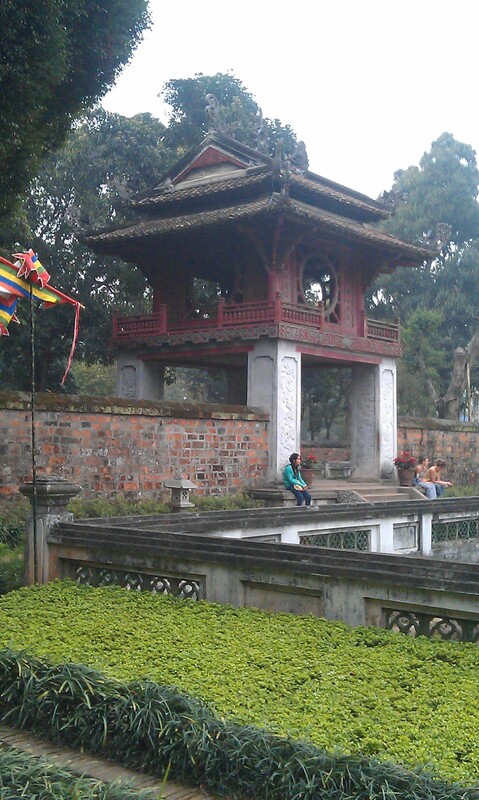 It is one of several temples in Vietnam which are dedicated to Confucius, sages and scholars. The Mausoleum is open at very specific times, so you have to make sure you check if you want to go inside. 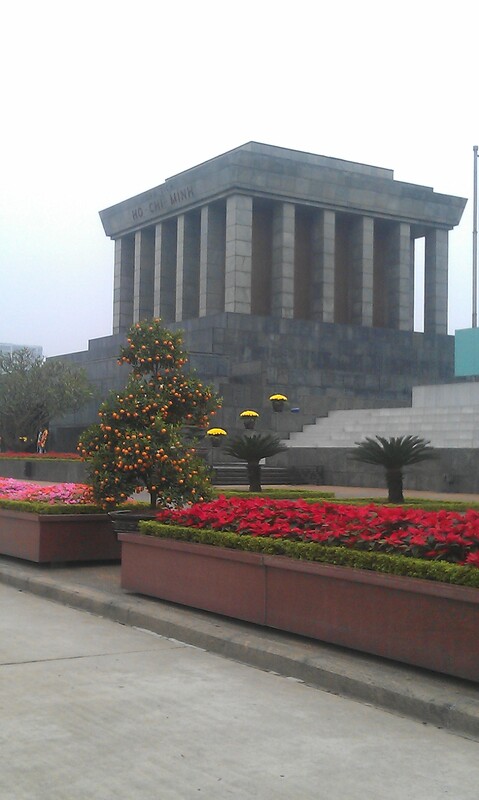 Also if you are not sure what a mausoleum is, check before you visit; two Americans staying at our guest house were a little `upset` when they realised they were looking at Ho Chi Minh`s embalmed body. We arrived after 10·30 so it was closed, but we did get to see changing of the guard at midday. 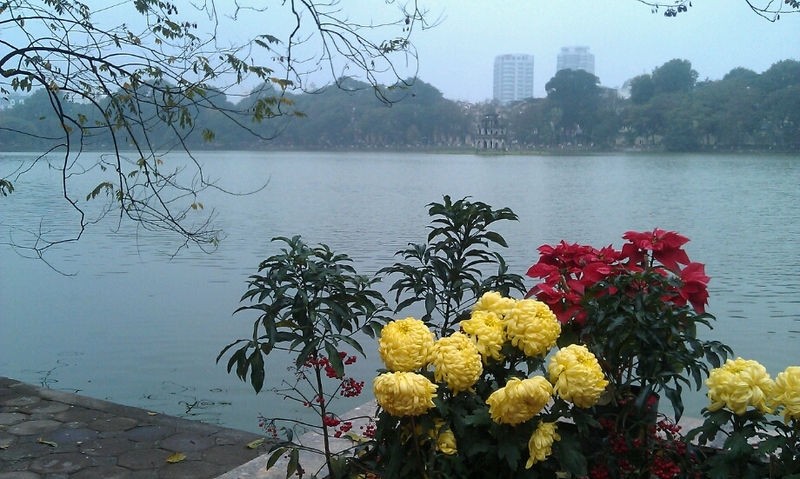 We actually preferred this to the `botanical` gardens we visited & it has a larger lake than Hoan Kiem Lake to walk around. For a family with kids (or just a big kid) the park is ideal, as there are small roller coaster rides, playgrounds & a `sit on` train, which goes around the circumference of the lake; our American friends Liz & Ab took a ride. We wandered around the French quarter looking at the old & restored buildings, which were amazing. We also stumbled upon `shopping` street, which is nestled amongst the big hotels & has Gucci, Prada, Mont Blanc etc. If you want to spot a Ferrari, Maserati, Lamborghini & Bentley, this is the only place in Vietnam where we saw them! Next we stumbled across the Opera House which is a beautiful piece of architecture. In the grounds, are several restaurants & a coffee shop where, we treated ourselves to an iced coffee. As it was Tet the market wasn’t open during our stay. This is another thing we wanted to see but we missed sadly. During Tet all the museums were closed, but there are normally many to chose from in Hanoi: Army, Fine Art, Ho Chi Minh, Womens, Vietnam Revolution, History, B52, Air force & Prison museum. There is even a Museum of Ethnology. 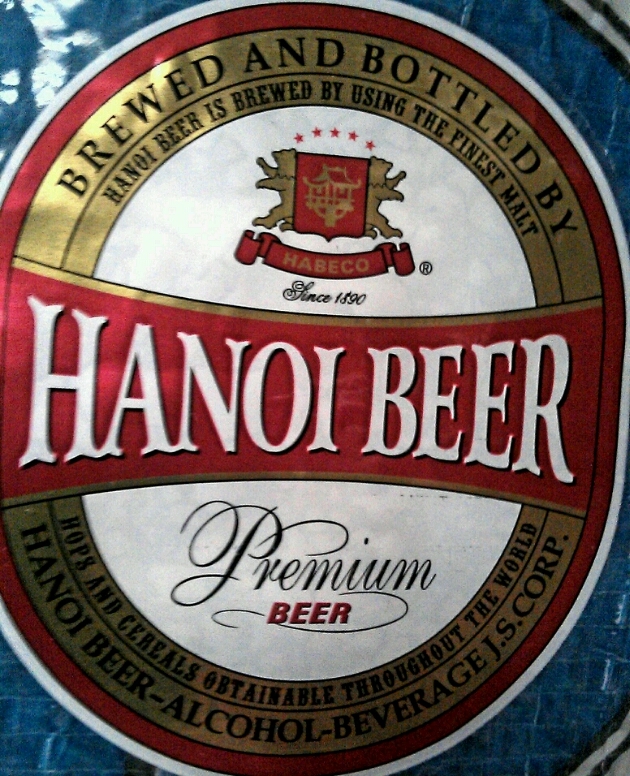 We were looking forward to 3000-5000 Dong (9p-16p) fresh beer again; Hanoi is apparently the best place to find it. But guess what? Yep … Tet meant none was being made (or so the locals said) Never mind at 15000 (50p) for a litre bottle of pre-packaged Bier Hoi or regular 450ml Hanoi beer, it didn’t matter much.